Some people snub their noses at video games. They should instead play them with a warm heart and open mind. They might find a new hobby. Or, at least, they’d understand this hobby and why others love it. But foolish views about games are still out there. These views are like mental obstacles that block people from seeing and having great fun. If only people could smash through these obstacles, they’d get hours of joy from games. So I thought of three reasons why people might avoid games. Well, of course, gaming could seem weird. Let’s say you seal yourself off from the world in a mine, and you’re wearing a tin foil hat on your head while you play. That’s weird. But I’m sure you wouldn’t do that. Would you? But playing games and treating them like other hobbies is fine. Balance between video games and life is essential, and many people understand that. Don’t generalize about games or the people who play them. Bloodbath is not synonymous with video game. Try a relaxing game like Endless Ocean. Go for a swim with a dolphin. Watch another person’s life unfold in The Sims. Check out the beautiful music and art in Journey. The many genre choices are amazing. You don’t even have to be good at games to enjoy them. There are many “point and click” adventure games where you mostly tap a mouse. In these games, you can walk around and click to experience a story, hide from zombies and more. These aren’t “twitch” shooters where you drown in your own blood the second you start an online match. And if you don’t know how to click a mouse, you’ll learn a new skill. 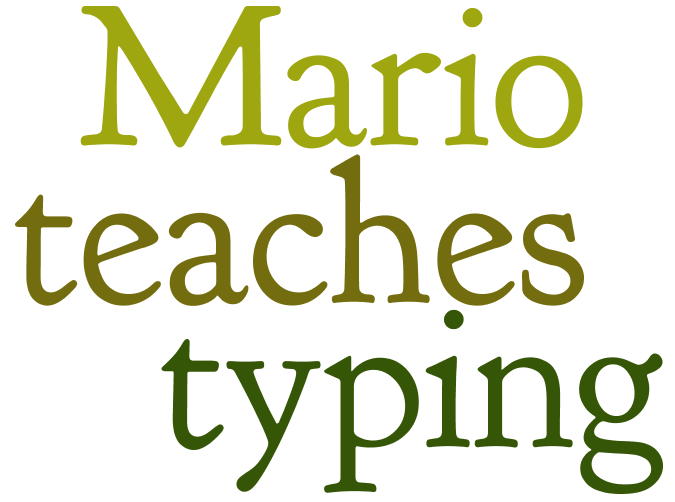 Maybe you could go even further and learn keyboard skills from Mario Teaches Typing, if they even make that anymore. Ok, forget the Mario Teaches Typing. I’m sure remaining copies of that game are in a pit by now. But be bold and try a video game. Oh, you’re really busy? Then you probably need significant time to relax. I’m sure you’ve watched the same TV show and movie countless times. Why not try something different? Play a game like the Walking Dead that’s feels like a choose your own adventure book/ comic book/ TV show. I know you will like video games. You already love the scenes and music from the movies. Guess what! Video games can have movie-like scenes and music. On top of that, you get to interact with the story and make choices. Get out and experience games so you can understand them. And once you understand, I’m sure you’ll find they have good reason to exist. Even better, they’re a lot of fun to play. What other bad reasons do people use to avoid playing video games? I might want to do another post on this topic. Thanks. True. I’ll see if I can write something to address that. Great post! I can’t really think of any reasons that you haven’t already mentioned. I’m sure more will come to me as I bump into non gamers. They’re for kids is one popular reason I hear. Great post! 🙂 I totally agree! Thanks! I’ve written a post that addresses that reason and will publish it one day. Great post! There is definitely a game for everyone if they are open to the challenge! Some reasons from my personal history – Self-doubt. Demographics. The learning curve. I’d try a game for five minutes, decide that men were indeed better than women at navigating 3-d environments, hand the controller back to my hubby, and go back to “girl games.” So glad I tried Fallout 3! Thanks for the great comment! Yeah, I was really bad at video games when I was very little. I would play for a couple of minutes and then stop because of the learning curve. I still liked games at that time, but I only started to love them later on. Hey, that might make a great post! Tell me more about how demographics affected your experience with games. I’m curious. I might have written a whole essay about it…. That article definitely interests me. Thanks! Looking forward to reading your future thoughts on spatial skills and your gaming history!! I should have known you had an essay about it :). Not so sure if I can write intelligently about spatial skills and psychology, but I will likely use that article in a post about the benefits of games. Thanks for stopping by purlgamer. Video games were considered dorky in the past, but these days that argument doesn’t hold water as it is a multi-million dollar industry. Some people still label games as being violent, but it’s a daft point to make when you consider that most titles are rated teen or lower. As I have gotten older I can sympathize with people who say they don’t have time to play. There’s no reason why you can’t fit gaming into your routine though. Have a video game day for example, once a week, were you dedicate an hour to playing. Surely everyone can fit that into their schedule. Agreed! I can sympathize with people who have little time to play too. I’m one of them. I think, if you really like video games though, you can fit them into a weekly or monthly schedule. I have some non-gaming friends who still don’t understand about games generally. They think it’s a guy eating Doritos chips late at night, playing games. I don’t know where they got this impression from. But thank you for the post. I enjoyed reading it. Thank you. Yes, these kinds of images are silly, and we don’t need to accept them.